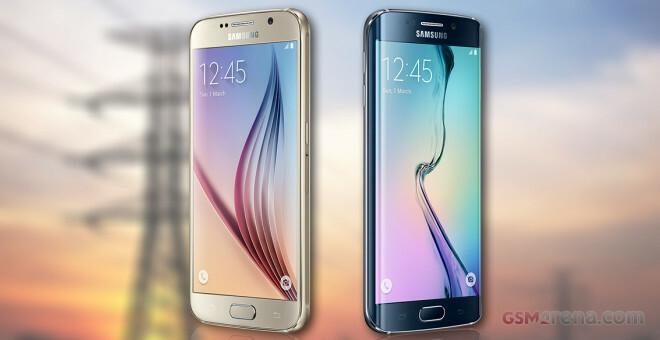 Both Galaxy S6 and S6 edge utilize Quad HD Super AMOLED screens and are powered by identical Exynos 7420 chips. The battery capacity of the S6 edge is just a whisker larger than the power unit inside the regular S6 model, but we are unsure if that’s enough to make a difference. As it turned out both Galaxy S6 and Galaxy S6 edge outed absolutely the same results in all of our tests – 3G calls, web browsing, video playback and stand-by endurance. 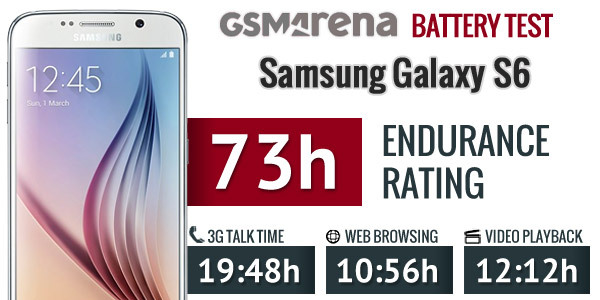 The scores are noticeably higher than the pre-release Galaxy S6 unit we had around, which is really nice. Our first test gauges the 3G talk time endurance and the Galaxy S6 duo did great lasting a hair below the 20 hour mark. 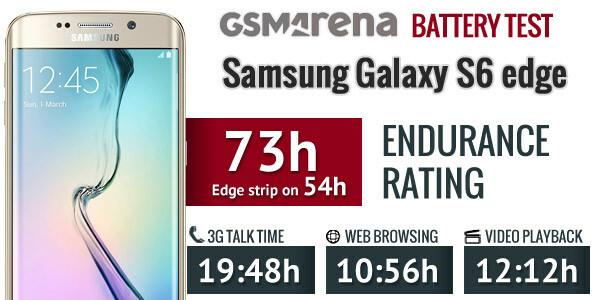 The Galaxy S6 and Galaxy S6 edge went through our web browsing test and, while they are not topping the chart, they surely did impressive. The default browser had to render web pages at Quad HD resolution, the pixel count surely eats more resources in every department, and yet the flagships managed to last 11 hours – the same result as the Galaxy Note 4. Finally, the Galaxy S6 and Galaxy S6 edge packed enough power to loop our test video for a few minutes after the 12 hour milestone. It’s an even better result than the Galaxy S5 predecessor. And now – the moment of the truth. As you should be well aware by now, the final endurance rating is influenced by the stand-by performance. First we tested the Galaxy S6 edge the way we do with all of our phones, including the Galaxy S6 – with no additional gimmicks turned on. Quite expectedly both S6 models outed same results – few hours north of 200 hours. This way the final endurance rating of both models is 73 hours, which means you can forget your charger for 3 full days, if you do an hour each of calling, web browsing and video playback daily. And while we believe lots of S6 edge users will forget about most of the edge features in a couple of weeks or months, we still wanted to give you a better idea and understanding on the Galaxy S6 edge battery performance. Most people will be turning on the Night Clock feature, which is an always-on clock during night time and its draws 2 to 3% extra charge per night compared to the normal standby battery usage. The Edge Lighting notification light doesn’t affect the battery life, but the rest of the features – People Edge and Information Stream – require the S6 edge to leave the screen digitizer always active in order to register your gestures (for turning the edge information on). And this is what makes a huge impact on the standby performance. So, if you are to use the Night Clock at night and rely on all edge gestures – the standby endurance is halved at 100 hours. This drops the final rating to 54 hours – which is still a respectable result for such a demanding flagship. We’ve already updated the Samsung Galaxy S6 review and, spoiler, the speaker loudness stays the same. Meanwhile our Galaxy S6 edge review is open to the public. Enjoy!